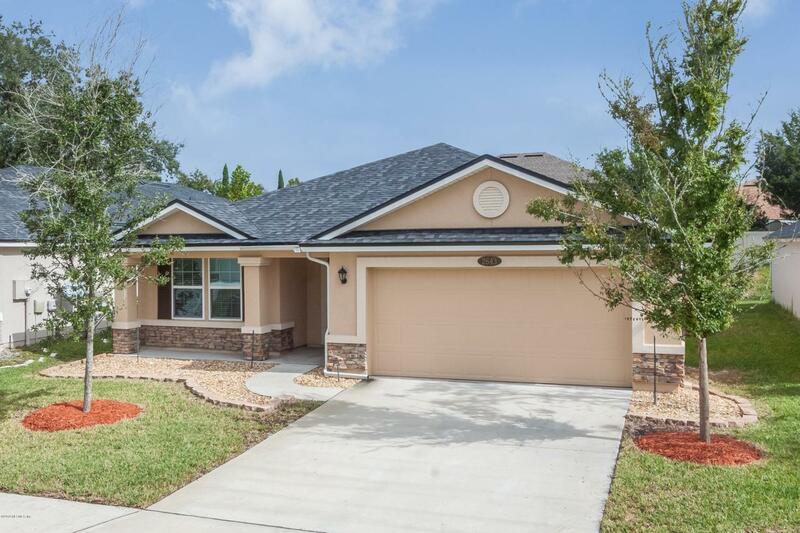 Like new, immaculate 4 BD 3 BA built in 2015. DR Horton Sarasota Plan features 2 master suites and 2 bedrooms. This is a split floor plan. Features stucco with ledge stone front. Upgraded light fixtures, kitchen has granite counter tops, smooth-surfaced stove, whirlpool stainless steel appliances, 42'' cabinets, decorative back-splash, pendant lights over kitchen island. Two master suites with full walk-in closets, bay windows in owner suite, carpet only in bedrooms. Separate inside laundry room. Ceramic tile in all other areas.